Content: Based in New York (USA) this self-released debut-album by Justin Symbol will for sure catch your attention for several reasons. First of all there’s the involvement of co-founding Marilyn Manson guitarist Daisy Berkowitz. But the main strength behind “VΩIDHEAD” is a powerful sound merging great and sometimes minimal-like electronics together with heavy guitar parts. The opening title-song is a solid crossover composition featuring alluring electronic treatments and an empowered chorus by guitars reminding me of M. Manson. The enraged vocals totally fit with the global furious writing. “Digital Penetration” was made with the same sound formula and is a great piece as well. The next few cuts reveal a harder style of guitar playing, but still in perfect harmony with the electronic treatments. 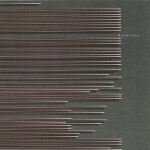 Justin Symbol has a typical American ‘industrial’ sound although “Possession” moves into somewhat EBM-orientated fields. This song is more into electronics and still is one of the absolute attention grabbers. I also have to mention “Shooting Stars”, which is driven by some groovy electronic sequences. 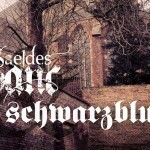 “VΩIDHEAD” comes to its ultimate point by the somewhat minimal electro-inspired “Grey Snow.” This album was released a few months ago, but is a real cool surprise I can only, but encourage you to discover. 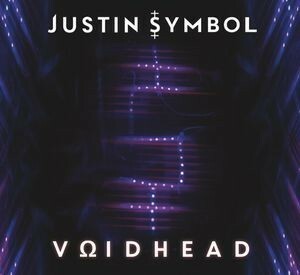 Conclusion: This is an interesting introduction to the powerful sound universe of Justin Symbol, which reveals a fine balance between electronics and guitar. Best songs: “Possession”, “Voidhead”, “Digital Penetration”, “Shooting Stars”.